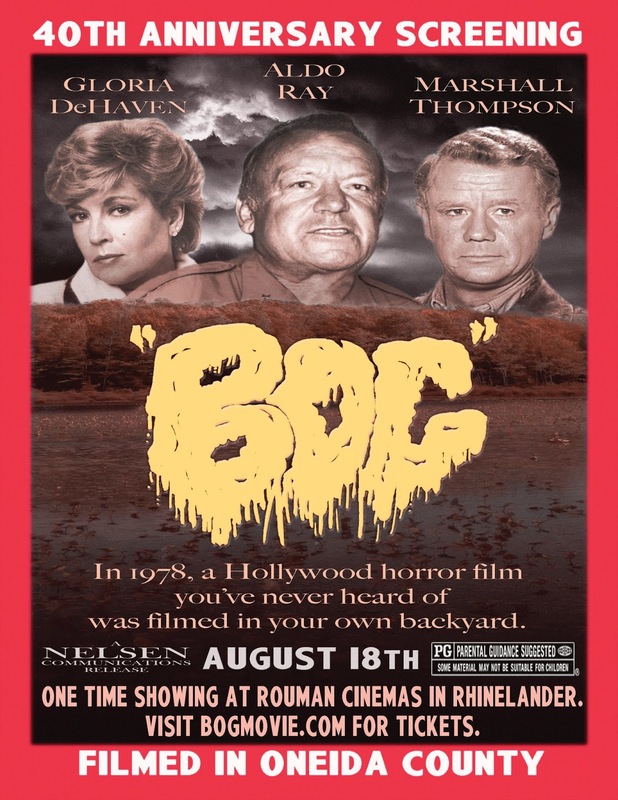 Oneida County, Wisconsin, is celebrating the 40th anniversary of a horror film made there in the 1970's: Bog. This low-budget terror never got a theatrical release in the 1970's and has had only spotty release on VHS. I did see it to review it for Horror Films of the 1970's. Now, this regional horror from a bygone era is getting the home-town premiere it never had. I listened to your comments on BOG. It sounds perfect for MST3K. For bad movies made in Wisconsin, let's not forget some of the work of Bill Rebane.